The mixture of fruits make an interesting, sweet and dense filling that will satisfy any sweet tooth. What really caught my eye was the crunchy topping. 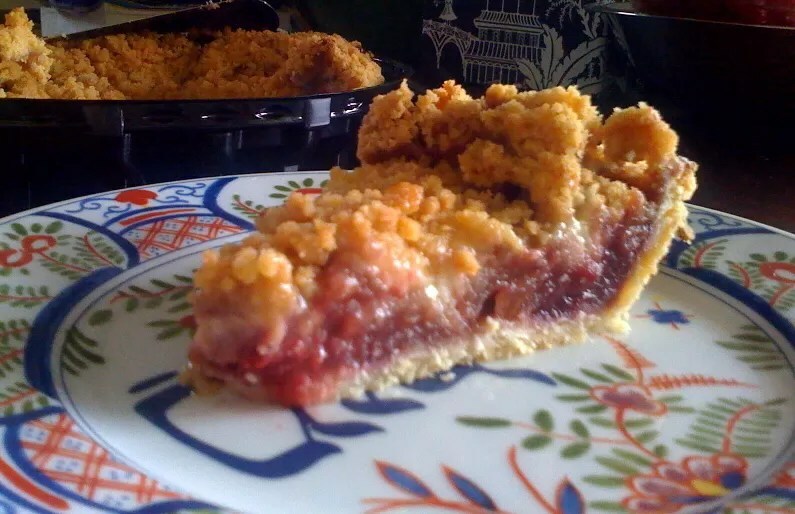 Having never tasted a crunchy-topped pie, I took one home to explore. The topping provides a wonderful difference in texture compared to the gooey filling. And why not? Pie is something that brings people together, eaten at celebrations, gatherings — almost always with other people. (Although I’m sure some people eat whole pies to themselves, especially ones this good). Besides now being able to get these pies at Metropolitan Market stores, I am pleased to find out that the Seattle Pie Company will be opening a location in Old Town, Tacoma, right in my neighborhood. North Tacoma has a noticeable lack of bakeries, and this will be a welcome addition to our community. I’m hoping that this new shop includes their quiches and pot pies, which I’m dying to try. Welcome to Grit City, Seattle Pie Company! Bring on the pies!